Stacy Phillips is a recognized authority on the subject of the resophonic guitar's history, players and literature. Through his numerous workshops and books, he has done much to educate players of this instrument playing a central role in its resurgence in popularity. He has published twenty books on various aspects of Dobro and fiddle playing that are acknowledged as the standards in their fields. He has also undertaken the major musicological project of researching and bringing to light the delightfully spirited Klezmer tradition. Stacy currently tours with the "Stacy Phillips Duet." He has two solo albums and has performed and recorded with Peter Rowan, Leon Redbone, David Bromberg, Mark O'Connor, and Bela Fleck. Learn to play a variety of fabulous tunes as you master essential playing techniques! Stacy Phillips covers picks, use of the bar, hammer-ons, pull-offs, right-hand rolls and chord positions. His in-depth examination of major scale patterns, applicable to almost any song, allows you to create your own melodies, licks, improvisations and solos. Stacy shows you how, starting with the old-time classic "Little Rosewood Casket". The traditional blues "Trouble In Mind" gets you into blues notes, licks and scales. Stacy shows you how these blues techniques apply to many bluegrass tunes, such as Buck Graves' "Foggy Mountain Rock". "Nine Pound Hammer", taught in G, A and Bb, illustrates how various keys inspire different licks. Here Stacy features a series of dynamic solos, complete with a multitude of playing ideas. "Dixie Hoedown", a real showpiece, integrates all you've learned so far with contemporary break-down style licks. Move into more advanced territory! Stacy returns to a discussion of rolls, drones, scalar patterns, hammer-ons and pull-offs, now with an emphasis on using bar slants to create more complex chords. This master shows you how to stay in-tune and smoothly execute a complete array of slants. Stacy also covers essential string pulling techniques, which allow distinctive effects including pedal steel-like licks. This video extends the concepts taught in Stacy's first video. 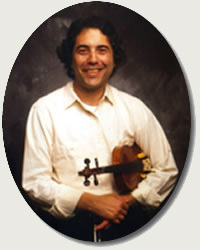 He analyzes four tunes, including "Cherokee Shuffle" and "Bill Cheatum", while emphasizing the skills you need to arrange fiddle tunes. The great Bill Monroe tune "Kentucky Waltz" focuses on working forward and reverse slants into your solos, offering new ideas for using them in the rest of your repertoire. Stacy's original composition "Last Rose of Autumn", covers everything you've learned in a beautiful and complex instrumental. Stacy's presentations extend beyond the tune being taught. You'll amass a full arsenal of techniques to create your own solos, improvisations and variations. Stacy Phillips Plays "Blue Prelude"
You'll be picking spectacular Dobro licks and instrumentals in no time! Stacy Phillips, one of America's best players, knows all the styles and he breaks them down in a concise, easy-to-learn way that even a beginner can pick up. With these six one-hour CDs, you will learn bar technique, right-hand rolls, tunings, special effects, bluegrass/ country licks, songs and instrumentals in a variety of keys. Songs include: "Columbus Stockade, Gathering Flowers On The Hillside, I'll Be All Smiles Tonight, Hilo March, Great Speckled Bird, Spanish Two-Step, Salty Dog Blues, Train 145, Worried Man Blues, Banks Of The Ohio, June Apple, Guitar Rag, It's Over, Footprints In The Snow, Nine-Pound Hammer, Soldier's Joy, Blackberry Blossom". Stacy Phillips Plays "Straighten Up & Fly Right"